Everlast, the global leader in authentic boxing-related sporting goods, believes greatness comes from within. 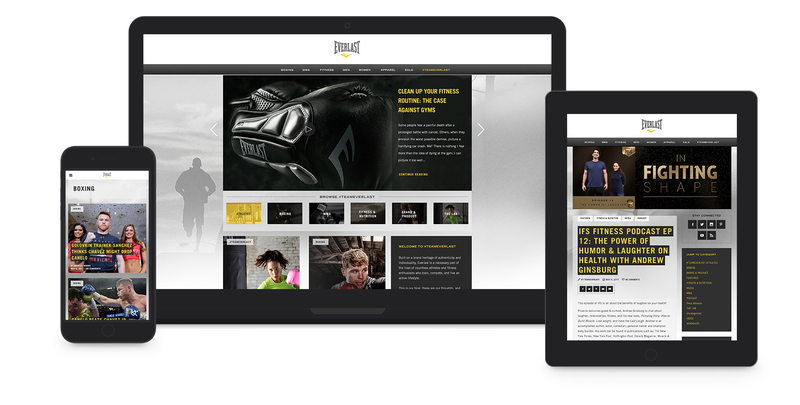 As the world’s best and most popular supplier of MMA and other fitness-related training gear, Everlast needed a one-of-a-kind blog that could help tell its company stories in a unique and effective way. Everlast was in need of a knockout digital space; one that could be easily edited by its internal marketing team and could be a go-to destination for its customers. What’s more, the new blog needed to be fully-equipped with a customizable template and social sharing abilities. 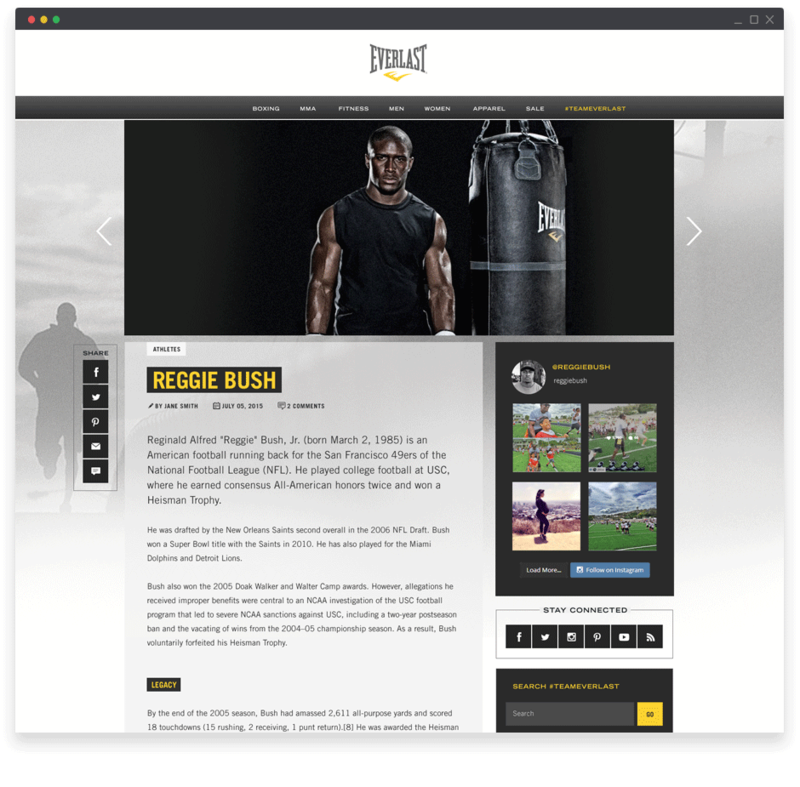 The revamped blog, #TeamEverlast, now boasts a completely customized template, bold design and easy social sharing. #TeamEverlast is now split into organized and easily-consumable categories for simple navigation, and also sports a newly-added section for trending articles. With a winning design, new functionality and easy navigation, the result is a new blog for Everlast that packs a stronger punch.